Warning: This blog contains images which some people may find distressing. In September, I wrote a blog introducing a new collaborative project focused on tackling the illegal trade of sharks and rays in the world’s largest shark fishing nation, Indonesia. Since then, work has begun with our partners in country and our understanding of the key issues has deepened. Last month we (the Cefas members of the project team) travelled to Indonesia for a two-day workshop in Jakarta. 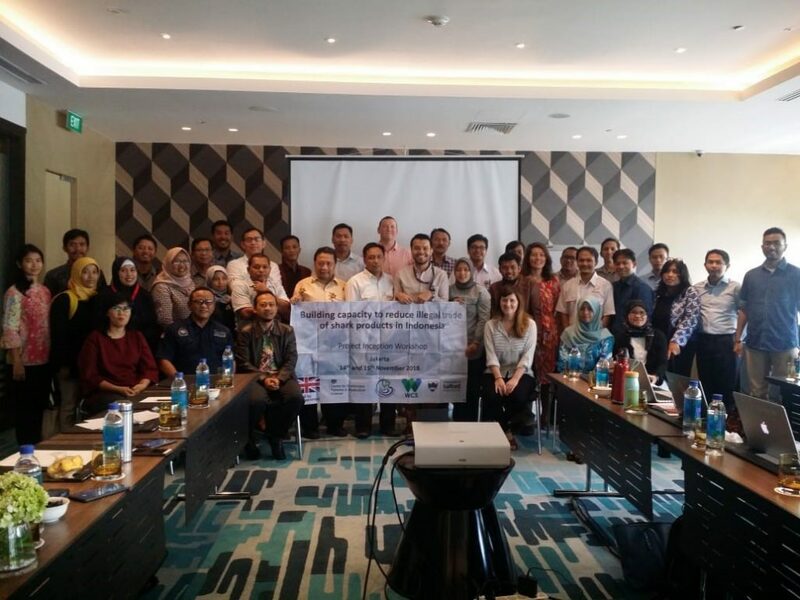 Over 40 stakeholders involved in the management of Indonesia’s shark and ray product trade gathered together to identify their biggest challenges and prioritise the key interventions for focus in our IWT challenge fund project. The project team (Ministry of Marine Affairs and Fisheries (MMAF), Cefas, the Wildlife Conservation Society and the University of Salford) gave a series of presentations and ran group work with participants to introduce the background and objectives of the project, as well as to consult on priorities for training events which will take place during the second year. The workshop provided a unique opportunity for staff from across different government departments involved in the management of the shark product trade chain to come together to share their challenges and coordinate ideas. Portable DNA kits at every export unit, advanced training in shark species identification with formal in-country training modules, and a government testing and certification scheme are the key interventions identified by government staff who are tasked with managing Indonesia’s shark and ray product trade. Firdaus Agung from MMAF said "This workshop is very timely in terms of project implementation and in planning government initiatives for 2019 fiscal to ensure mutual benefit and efficiency for the coming year. Moreover, the workshop also provided a very good opportunity for all key stakeholders in shark and ray trade management to meet and discuss their perspectives on common issues in being able to manage these species legally and sustainably." the short timescale in which the inspection needs to take place – when it comes to fresh ray meat, this has to be within just one day! While there was consensus on the key challenges and priorities, there were some differences in the specifics. 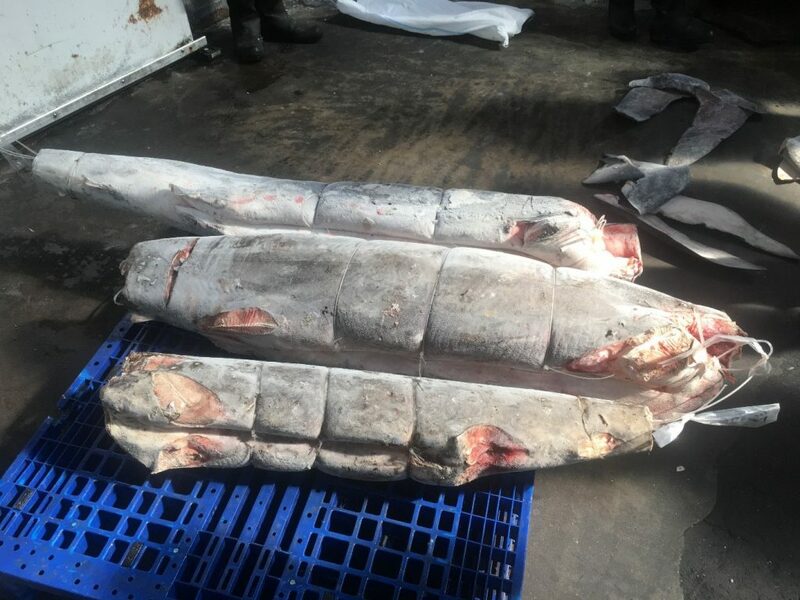 For example, staff at some BPSPL units have high confidence in the visual identification of fins listed under The Convention of the International Trade in Endangered Species of Wild Fauna and Flora (CITES), and some staff can even identify dried skin for some groups of shark species. However, there are differences in staff confidence when it come to identifying different products, especially oil and cartilage, and not all verification units process the same products. These different skill sets, which have developed across the BPSPL units, will form an important component of the project’s future “train the trainer” programme where “product experts” will train and coach each other. Two of the Cefas project team will return to Indonesia in January to shadow BPSPL staff from additional verification units so they can map out specific strengths and training needs. The results of the stakeholder workshop and these regional visits will form the basis of a consultation document which will bring together all the input we gather from those involved in shark and ray trade management in Indonesia. 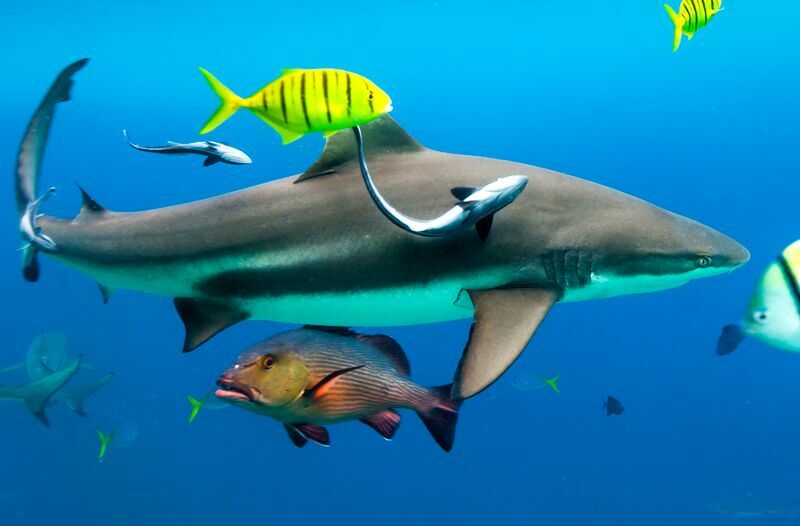 We hope with this, we can agree upon a unified approach to help their efforts in tackling the illegal shark and ray trade.